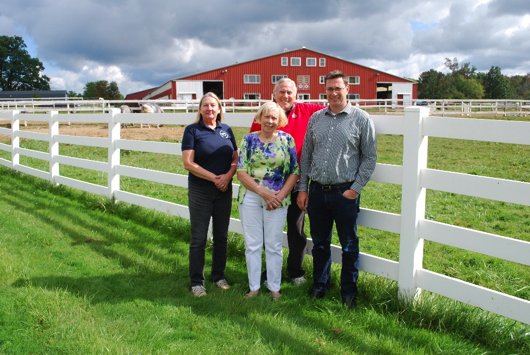 Chagrin Falls, Ohio—September 1, 2017—Linda Joseph, owner of Chagrin Valley Farms (CVF) announced today that she has sold her Chagrin Valley Farms to the Schneider Family, owners of Schneider Saddlery in Bainbridge Township, Ohio. Built by Joseph in 1982, Chagrin Valley Farms is located on 85 acres and includes 75,000-square-feet under roof with 200 horse stalls and two indoor rings, in addition to four outdoor rings, pastures, and trails. 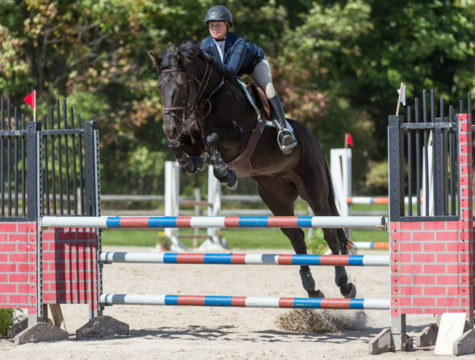 Chagrin Valley Farms has been instrumental in developing new riders and building the local equine industry through its riding lessons for children and adults of all abilities and a full summer camp program for ages 4 to 16. A popular horse show destination for regional Schooling and Academy horse shows for up-and-coming horses and riders, CVF is well known outside Northeast Ohio as well. They have hosted top level A horse shows, attracting competitors from around the country, as well as Dressage shows. In the 1990’s they hosted the Chagrin Valley PHA Horse Show and Cleveland Grand Prix. “New riders are critical to the future of the horse industry in Northeast Ohio where we have experienced a decrease in horse shows and equestrian activities in recent years. Initially, we’ll invest in the renovation of existing facilities and continue the horse show schedule, riding lessons and camp programs. Linda Joseph and her team will continue working with us through the transition and beyond, as we plan to explore further expansion of the facility as an equestrian campus,” Schneider added.